After building my first Neopixel Clock, I decided I needed one for myself. There was no way I was going to solder 90 lengths of wire onto 180 tiny pads again, though, so I knew I needed to design a custom PCB. This necessitated a redesign of the entire clock, focused around making it as easy as possible to assemble. 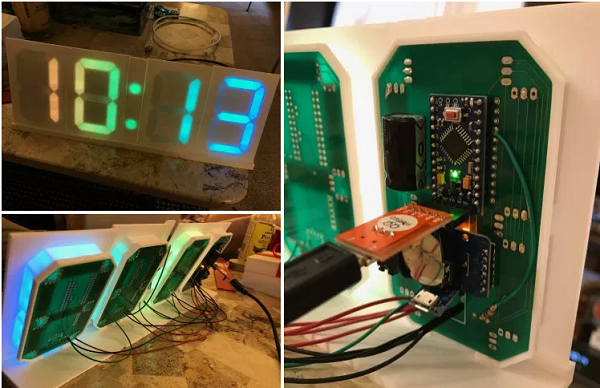 This entry was posted on Monday, June 18th, 2018 at 11:55 pm	and is filed under Arduino, clock. You can follow any responses to this entry through the RSS 2.0 feed. You can skip to the end and leave a response. Pinging is currently not allowed.